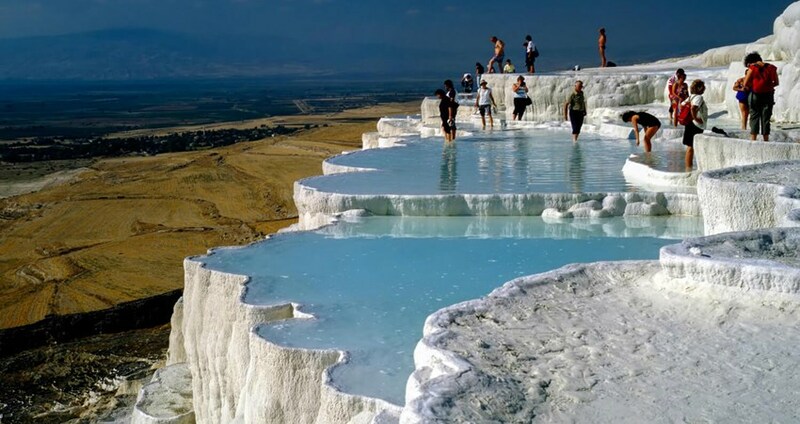 Once you’re in Turkey there are a few places you just have to visit Pamukkale is on the top of that list. 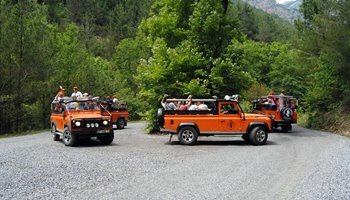 Bodrum Pamukkale Tour starts with a pickup service from your hotel. 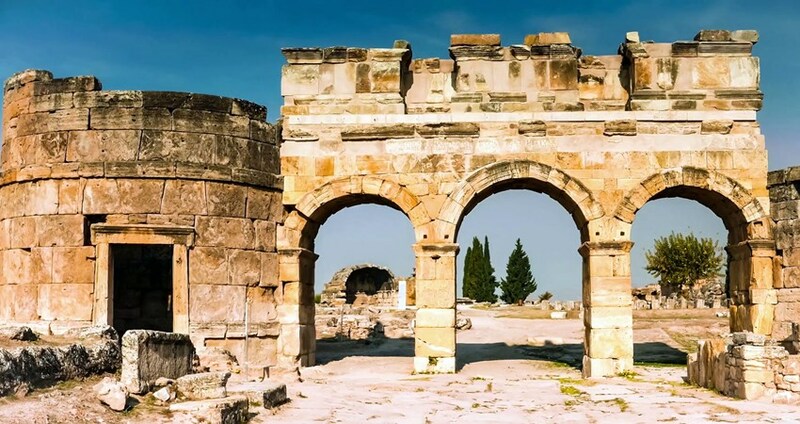 As we depart from Bodrum, you will have one hour thirty minutes drive from your hotel in Bodrum, to the city of Mugla, where we will have a comfort break in a local restaurant in Mugla. From there we will take two hours bus trip to Pamukkale, during this comfortable drive our professional English-speaking guide will inform you about our destination and Pamukkale. Once we arrive, we will go for a walk through magnificent Hierapolis. This ancient city was built on top of hot springs, which were once a spa, and you can see the ruins of the baths, magnificent temples and other Greek monuments, such as the Theatre, Temple of Apolla and more. 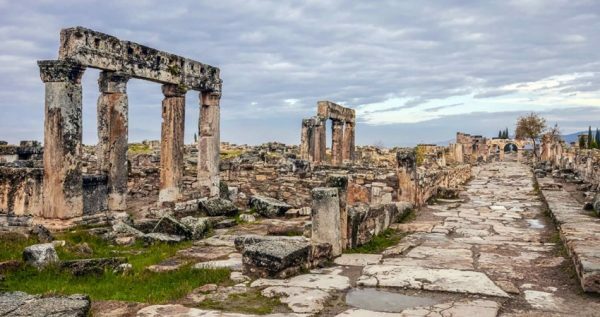 You will be able to see a vital part of the foundation, on which one of the most powerful empires in the history of mankind, was built. 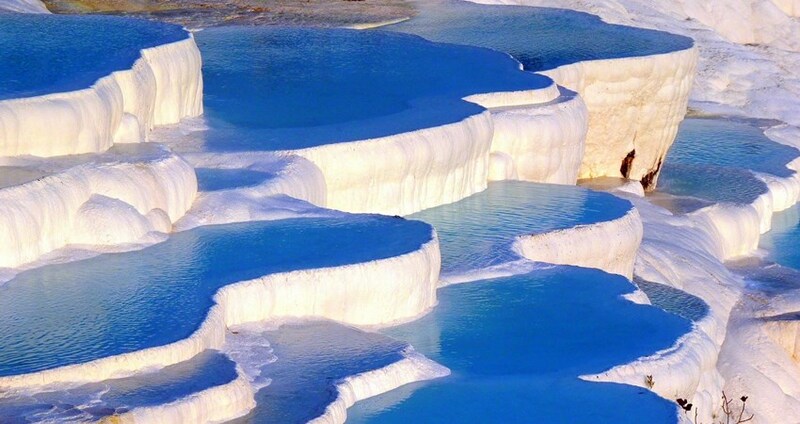 Pamukkale is a very special and a unique place in the world. 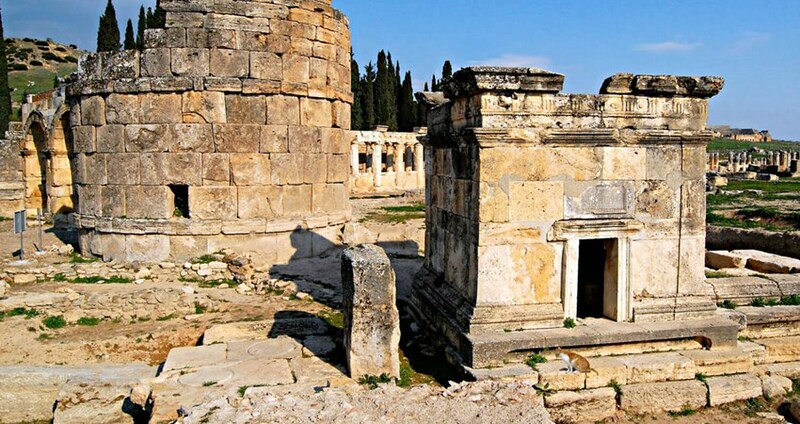 It is a place where natural phenomenon and ingenuity of a man united and created something unique and amazing. This fascinating landscape is created by calcite-laden waters, mineral forests, petrified waterfalls and a series of terraced basins. The effect is completely breathtaking and unreal. You will be able to walk on the astonishing white travertines, and take a swim in the antique Roman pool. 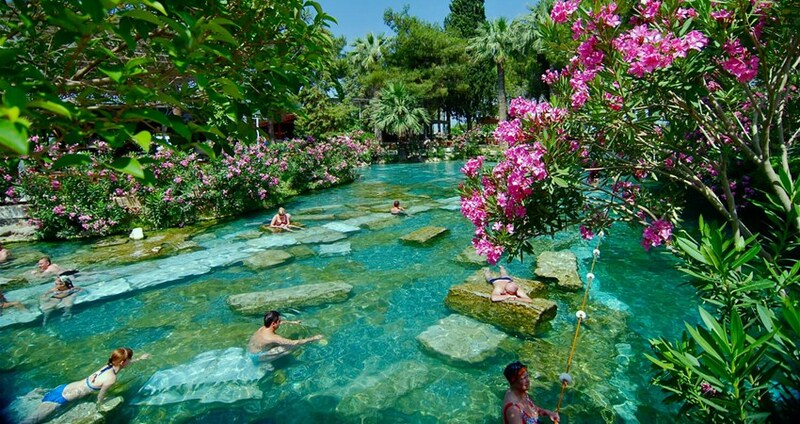 Its emerald clear water is at warm 36 degrees celcius. 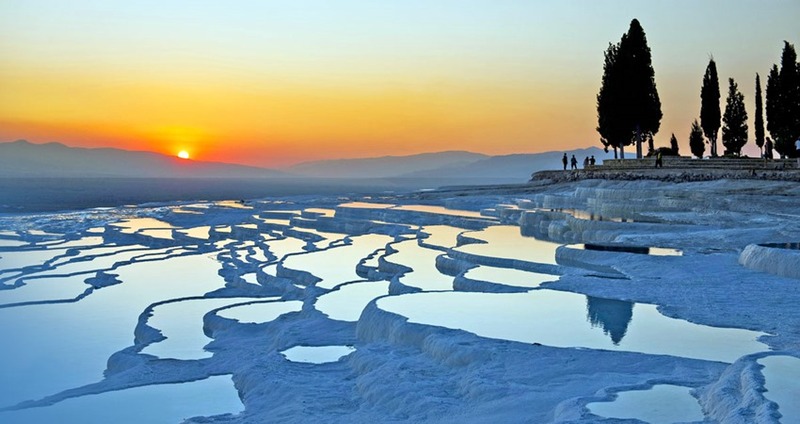 After your guided tour in Pamukkale, you will have around 3 hours free time on your own. 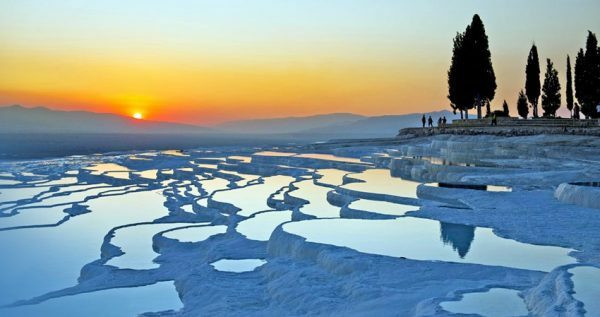 This is the free time that you will enjoy Pamukkale on your own. 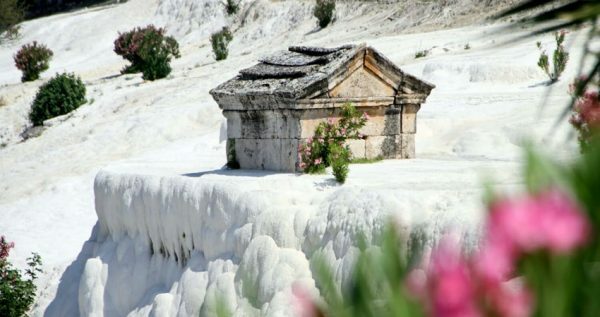 You can peddale on the white cliffs of Pamukkale or take bath in the famous swimming pool of Cleopatra or you can walk and spend some more time among the historical remains of Pamukkale. Once this fascinating tour through ancient city and Pamukkale is over, we will head back to the bus and take a short ride to the Village of Pamukkale. There we will visit a charming local restaurant and have an open buffet lunch. Next, we will head out to visit the Onyx Factory. 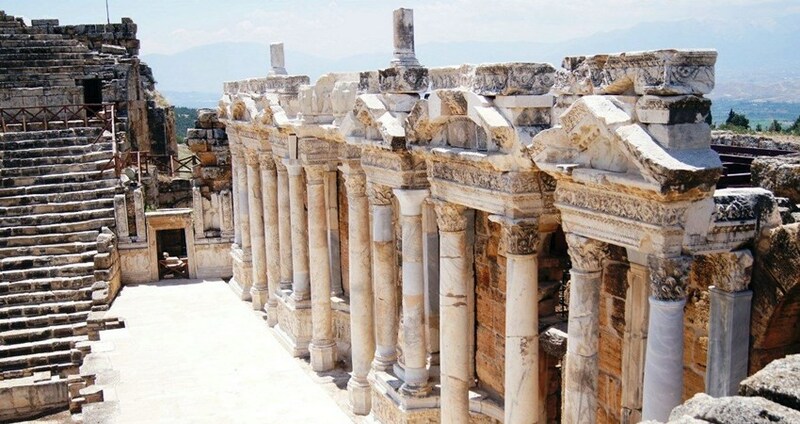 This lovely quality stone, rich with minerals, is the great pride of this Turkish region. In this factory we will learn something on how this beautiful, marble-like stone is processed. 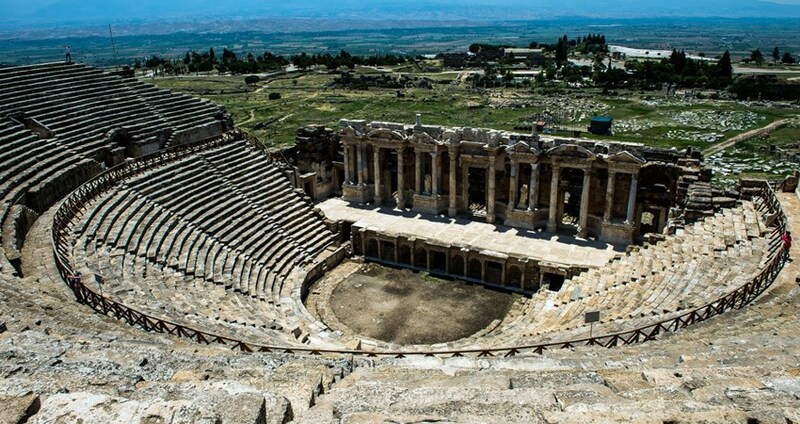 At the end of the day we will drive back to Bodrum. 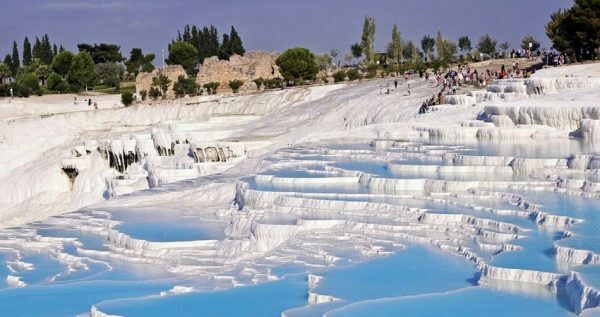 Please remember that Bodrum Pamukkale Tour also includes a free transfer service back to your hotel. If you’re up for a stroll through the magnificent past of one of the greatest empires the world has ever seen, reserve your seat on our fascinating Trip to Pamukkale from Bodrum.